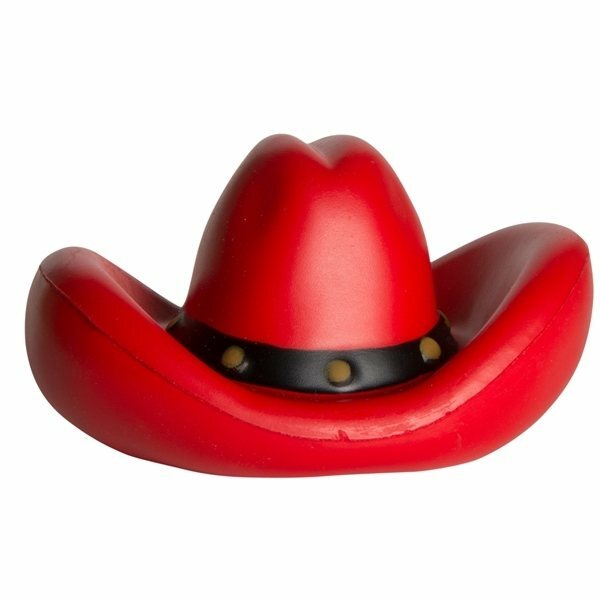 This red cowboy shape stress reliever is ideal for themed dances and parties. A great giveaway for places like steakhouses and horse ranches. Hats off to a great promotional giveaway item. Customize with your company's name, logo, and information. Our logo was big. It was exactly like the approved artwork. these are perfect for our wedding favors! Went over perfectly at our event. We were very pleased with the quality of the product and with the quality of the imprinted logo. I have nothing negative to say about the entire experience. Rosy was most helpful and he should be commended for his attention to this order.